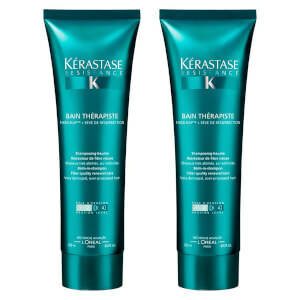 The Kérastase Resistance Therapiste Shampoo and Conditioner Duo is a two-step process to transform dull, tired hair. Catering specifically for fine hair, the high-performance formulas provide essential nutrients to recover hair and leave it feeling silky smooth. 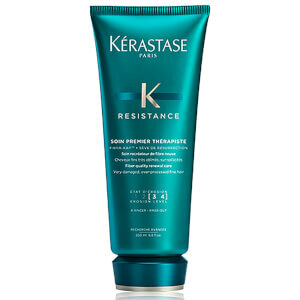 Transform limp, lifeless hair with Resistance Therapiste Bain; a shampoo with a unique jelly-like texture. Specially formulated with an innovative FIBRA-KAP™ formula to deliver keratin associated proteins (KAPs) to repair hair fibres and the internal architecture for healthy-looking, hydrated locks. 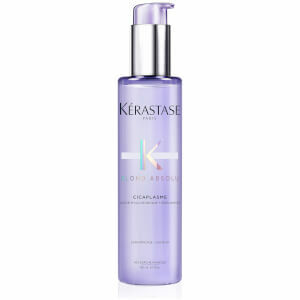 Renews split ends and brittle strands by enveloping hair, increasing strength and protecting from further damage. Suitable for damaged and over-processed hair, the lightweight conditioner has been developed for use before shampooing, but can also be used after cleansing if preferred. Effectively forms a protecting film onto hair fibres to shield from washing and further damage, leaving you with luscious, healthy locks. 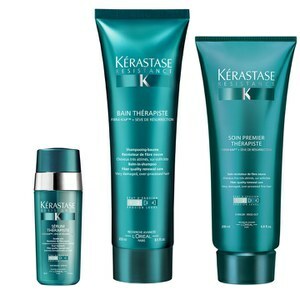 Its unique FIBRA-KAP™ formula regenerates keratin associated proteins (KAPs) to repair hair structure and restore moisture. Shampoo: Työstä käsiesi välissä. Levitä kosteisiin hiuksiin ja hiero. Huuhtele pois. Hoitoaine: Levitä kosteisiin hiuksiin, hiero hiusten keskiosiin ja latvoihin. Anna vaikuttaa 2–3 minuuttia, emulgoi ja huuhtele pois huolellisesti. Kehitetty käytettäväksi ennen shampoota, mutta voidaan halutessa käyttää myös pesun jälkeen.